Quick-service restaurants are generally quite traditional in the way they wash dirty kitchen wares, but Subway is bidding to change all that by introducing state-of-the-art commercial dishwashers to all new and remodelled stores. Andrew Seymour met the team involved in sourcing and delivering an equipment solution that will save franchisees time and improve profitability. Fred DeLuca, the founder of Subway, started out with a dream of creating one of the biggest quick-service restaurant empires in the world and, with 45,000 stores to its name across 113 countries, it was one that he got to fulfil before he sadly passed away three years ago. Building such a dynasty takes time — 53 years and counting in fact — but it has given the franchise-led company a unique understanding of what it takes to create an organisation that can be scaled, replicated and implemented in multiple markets without diluting the core values and brand identity that make it what it is. But like all multinational organisations operating in fast-moving consumer-facing markets, those at the top recognise there is always room for improvement — a philosophy that was put into practice when professional services giant Accenture was commissioned to conduct an in-depth review of how Subway could enhance the customer experience and make franchisees more profitable. More than 3,500 franchises and 1,100 sandwich artists — the name that Subway uses for in-store employees that assemble its famous ‘Subs’ — were surveyed and their opinions helped form a picture of the areas where the business was falling short and where reinvigoration was necessary. 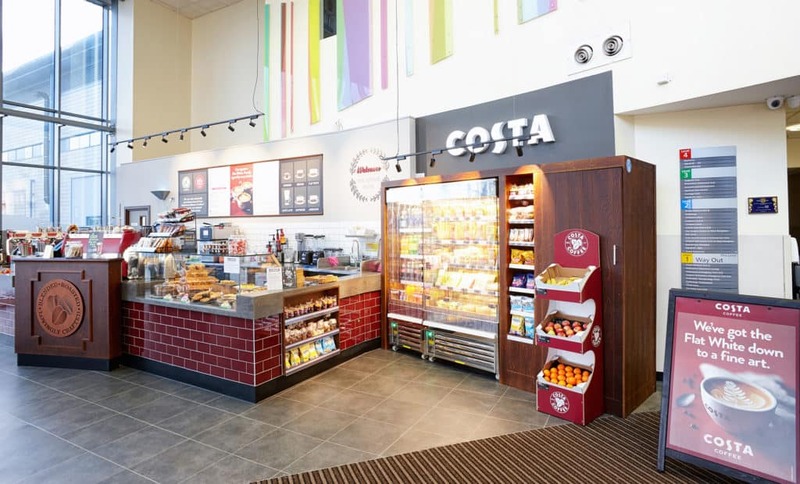 The outcome of that was a renewed focus on store design, menu rejuvenation and operational behaviour, the latter of which included an examination of certain back-of-house equipment and procedures. Indeed, one of the observations to emerge from this exercise was that staff spent a disproportionate amount of their cleaning time — up to 30% in some cases — washing the daily items they use to prepare food by hand. 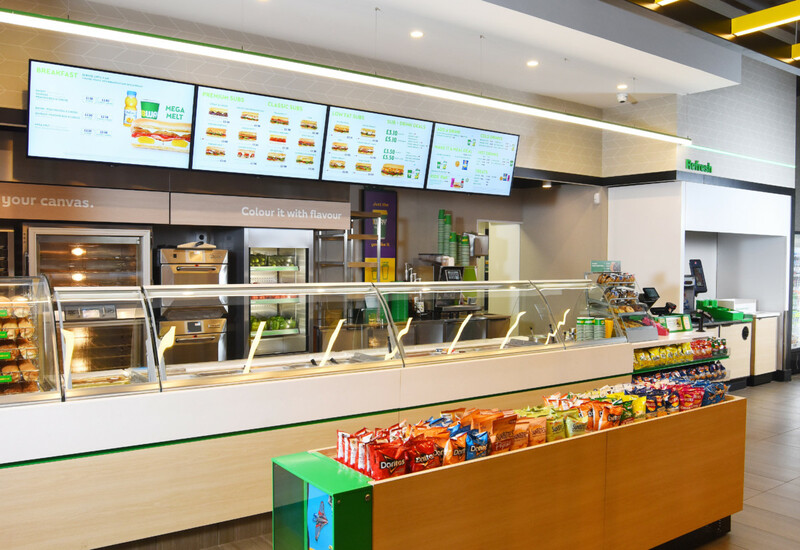 Subway has placed renewed focus on store design, menu rejuvenation and operational behaviour following a comprehensive survey of franchisees and staff. The chain felt that if it could bring more automation to this process it would boost staff morale by freeing workers from what is a time-consuming and laborious activity and allow them to spend more time in the front of stores, serving customers. 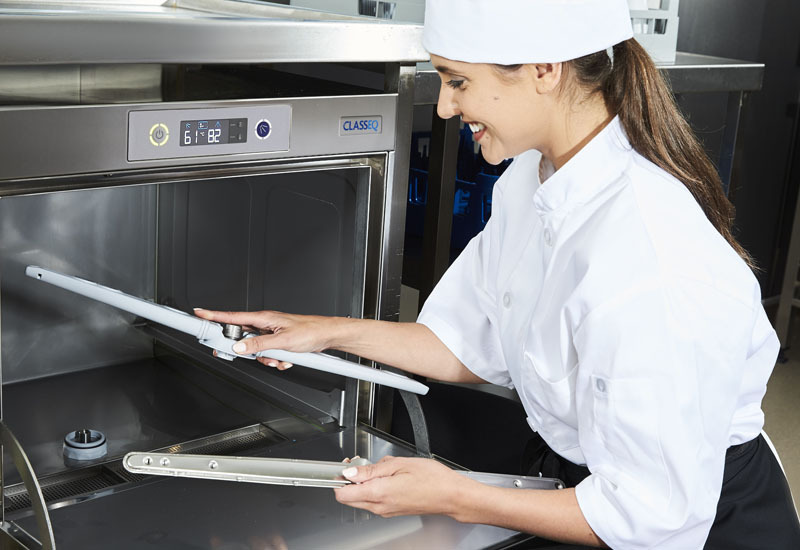 It would also provide a number of additional and equally important advantages, not least in terms of hygiene compliance and food safety due to the consistency of wash that a commercial dishwasher offers. 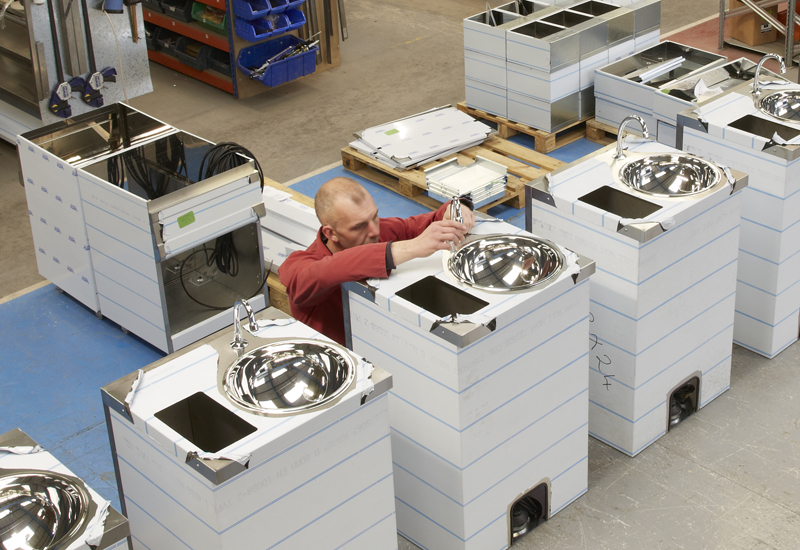 With warewashing activities typically carried out at three-compartment sinks installed in all Subway back-of-house areas, the company took the decision to introduce dishwashers for all new and remodelled stores. In simple terms, this means it is compulsory — rather than optional — for a dishwasher to be installed in any new Subway store that opens or any existing store that undergoes refurbishment from now on. With nearly 2,500 stores in the UK and Ireland, Subway operates one of the largest foodservice estates by unit volume in the market today. The need for uniformity right the way across the portfolio commands a closely-controlled network of approved supplier relationships that essentially provides franchisees with access to a shopping list of fully qualified products and services for their stores. The job of cultivating and developing those relationships rests with the European Independent Purchasing Company (IPC Europe), the Buckinghamshire-based non-profit-making organisation that is collectively owned by Subway franchisees in Europe. It manages more than £1.5 billion worth of contracts on behalf of the Subway European estate, overseeing the purchasing and supply of Subway specified and approved food, packaging, equipment and business solutions. 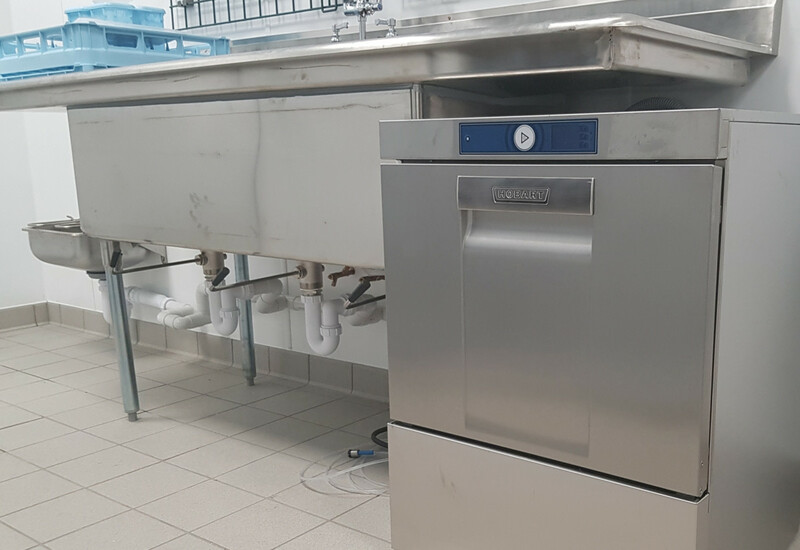 IPC Europe was given the task of sourcing a commercial dishwasher supplier that could meet all the company’s operational and service requirements and be fully integrated into the existing Subway supply chain, comprising more than 5,400 stores across Europe in total. The search for a supplier initially began two years ago with the company putting together a comprehensive category management programme and RFI process that reached out to no fewer than 26 separate suppliers at the outset. 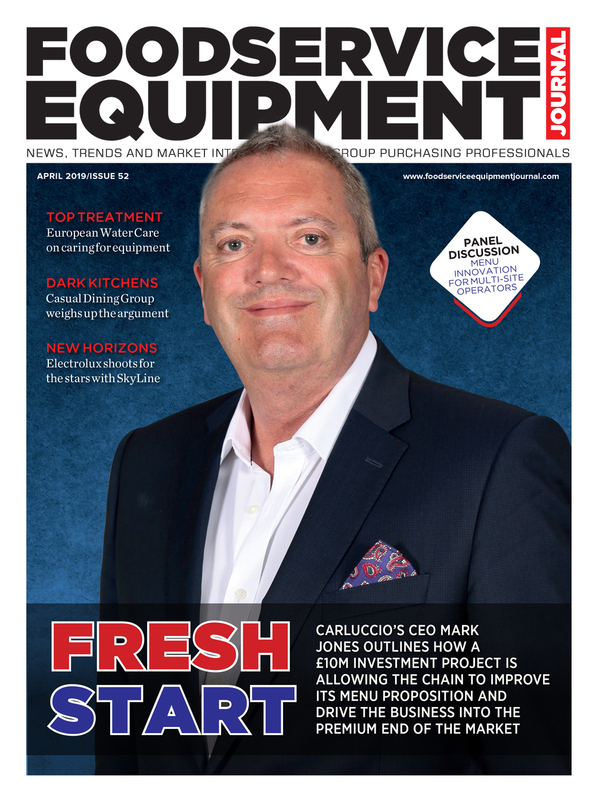 Insiders from the warewashing equipment market describe it as the largest dishwash tender up for grabs in the UK market last year. From there, each supplier was scored against pre-set criteria before IPC Europe selected three manufacturers to participate in what was initially intended to be a three-month trial but extended to nine months. 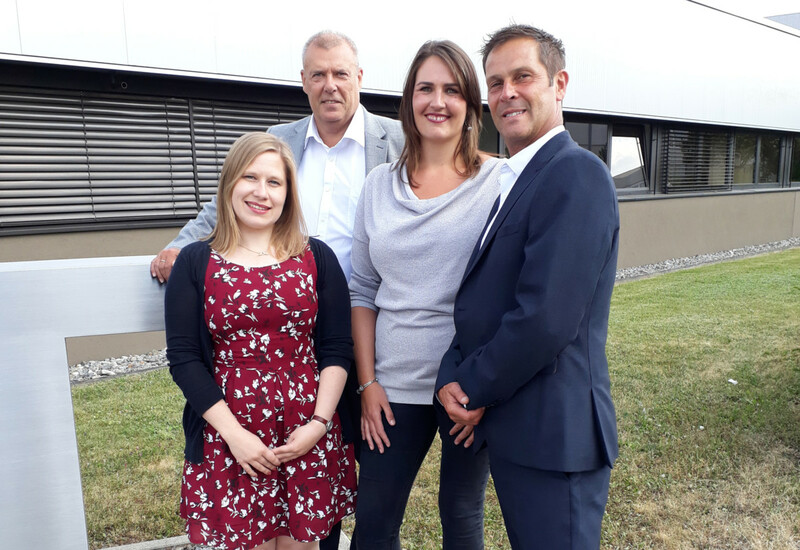 The additional testing duration proved to be a blessing in disguise, not only because it reinforced the technical parameters that franchisees required but because it gave the team the opportunity to see firsthand how operators integrated the dishwasher into their kitchens, explains Laura Bird, equipment and decor purchasing manager at IPC Europe (main image, third from left, with colleague Emma Charles and Hobart’s David Riley and Ian Barber). 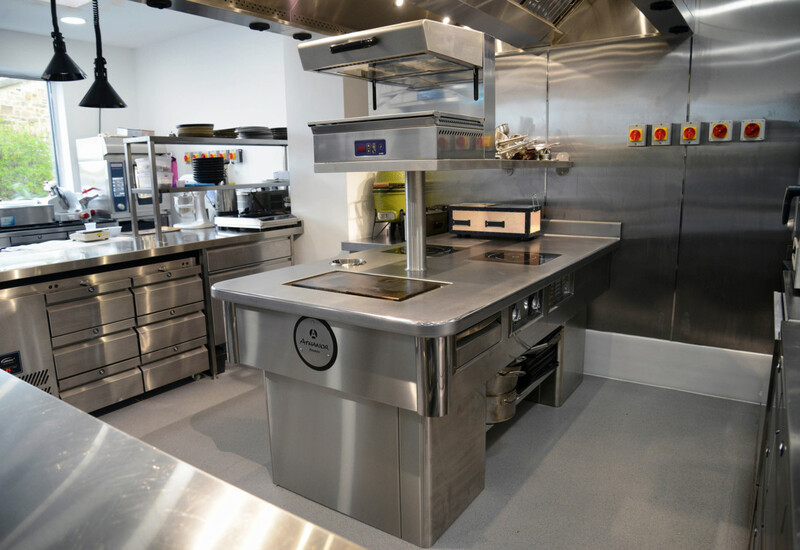 She says: “We used it as an opportunity to do added fact-finding and to further understand how our franchisees used their dishwashers — what added benefits they were gaining from the equipment and what steps would we need to take to ensure the roll-out was successful? We used this feedback to help us shape our thinking in terms of the controls and features of the machines. “We don’t bring on lots of suppliers quickly — there is extensive qualification required. We have a category management process that we follow internally, taking us all the way through from understanding our true business needs, market analysis, options generation, contracting and then developing the supplier relationship. Subway’s new ‘Fresh Forward’ branding is being implemented in UK stores. Following the trial process, IPC Europe awarded a three-year contract to Hobart, making it the sole approved dishwasher supplier for Subway in the UK and Europe. 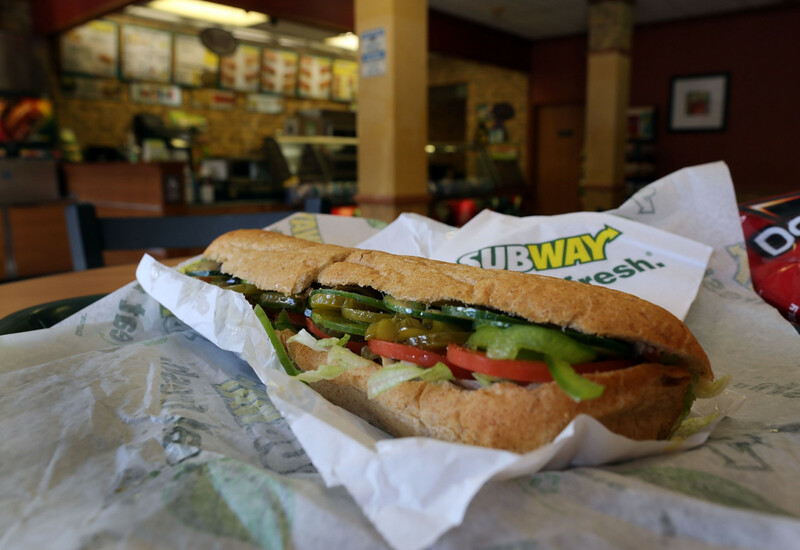 Subway franchisees within Europe procure equipment through the brand’s main consolidators, Duke Manufacturing and H&K International, both of which now hold Hobart stock locally. 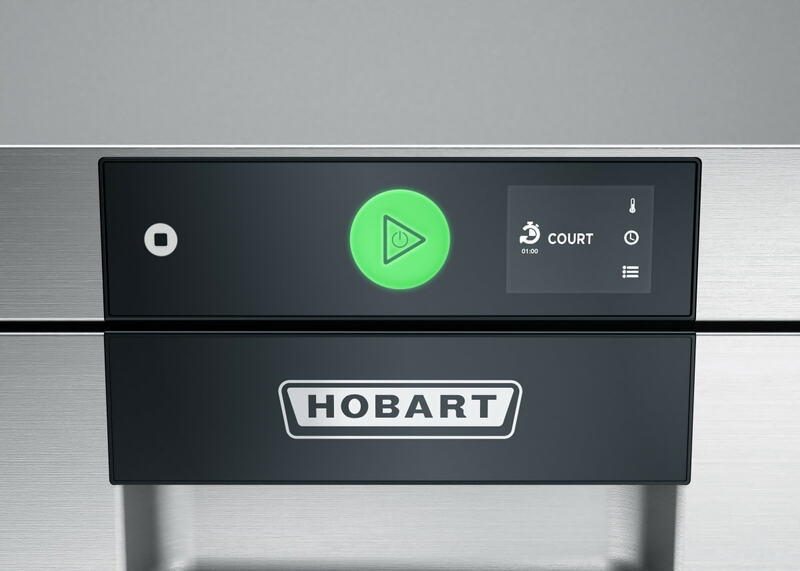 The Hobart dishwasher that Subway franchisees will use is the FX-15A, which is part of Hobart’s Profi range of undercounter machines. 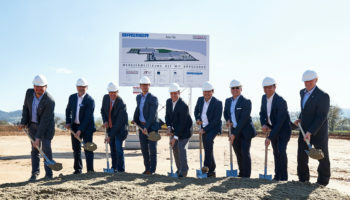 It has been tailored specifically to Subway requirements at the manufacturer’s main factory in Offenburg, Germany. All machines are programmed to run on a three-minute cycle and are operated by a single control, with the panel changing from red to green to denote its operating status. Audio alarms indicate if a chemical or detergent change is needed, making it crystal clear when action is required. Given that Subway is not a full-service restaurant, the dishwasher will predominantly be used for cleaning the tools and utensils that are used to prepare its menu. This includes the majority of items used for the salad section, tongs, servers, containers, cookie trays and the breadforms, which are used to hold dough. Even tomato slicers can go through the machine. 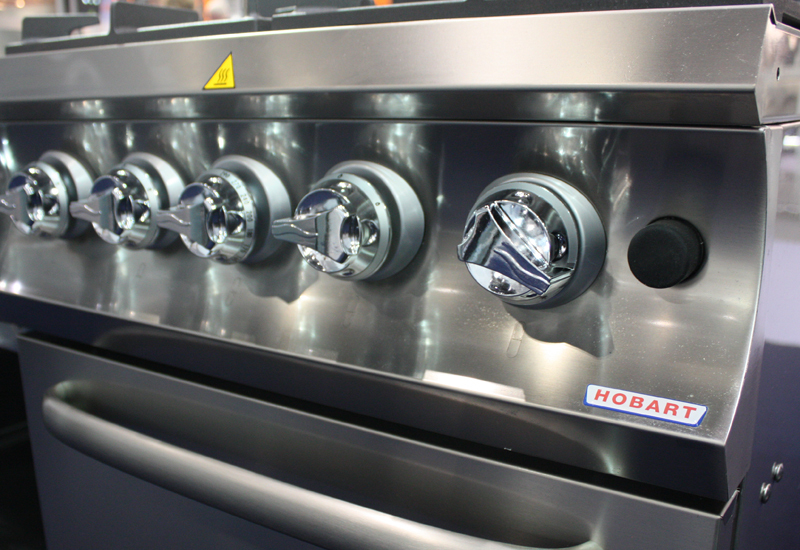 “Hobart has helped us design the machine specifically for the operations in our stores, with everything being pre-set at the factory for consistency. We made the decision to include a water softener to further protect our franchisees from having the wrong specification for their region,” says Bird, noting that the energy efficiency credentials of the FX-15A also align perfectly with Subway’s corporate social responsibility (CSR) strategy. 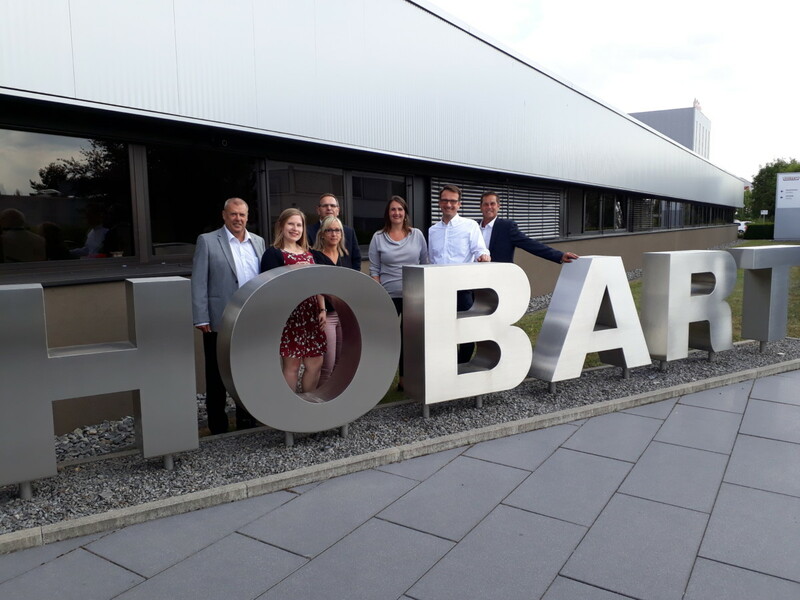 The Subway and Hobart UK teams with members of Hobart’s German operation outside the manufacturer’s factory and HQ in Offenburg. Additionally, all the machines are smart-enabled, which could allow Subway to benefit from data monitoring and remote diagnosis in future. That’s an attractive proposition for Emma Charles, equipment support specialist at IPC Europe, who is responsible for the after-service aspect of supplier relationships. “It is about being able to identify problems before they occur to really optimise the equipment and that can only be done through the data that we get back from it. We are already looking into it for soft drinks and hot drinks — the coffee suppliers are already moving into that world and telemetry is a key initiative for us with equipment at the moment. “We are very aware that there is going to be a lot of data available. We don’t have a large team of people sat there to look through and analyse that data so it’s going to be about establishing what data we need and working with the suppliers to pull out the bits that are crucial to us and then looking at how we can use this to help the franchisees. But having the machines ready and enabled for that functionality and that piece of innovation is good news,” she adds. The tender process contained a set of criteria featuring more than 30 requirements, which IPC Europe used to determine which supplier could best support all of its needs. Total cost of ownership played a major part in the final decision, reveals Bird. Hobart scored highly with its first-time fix, attendance-on-time record and fleet of directly-employed service technicians across Europe, as well as the volume of spares carried by its vans and available through third party parts providers, should franchisees use their own preferred service partners for maintenance work. As a result of the Hobart deal, 95% of franchisees will have access to both a local phone number for service enquiries and a call centre in their own language. For Hobart, the award of the contract caps what was one of the longer tender processes it has been involved with. But David Riley, managing director UK warewash at Hobart, says the robustness of the exercise was pleasantly reassuring. 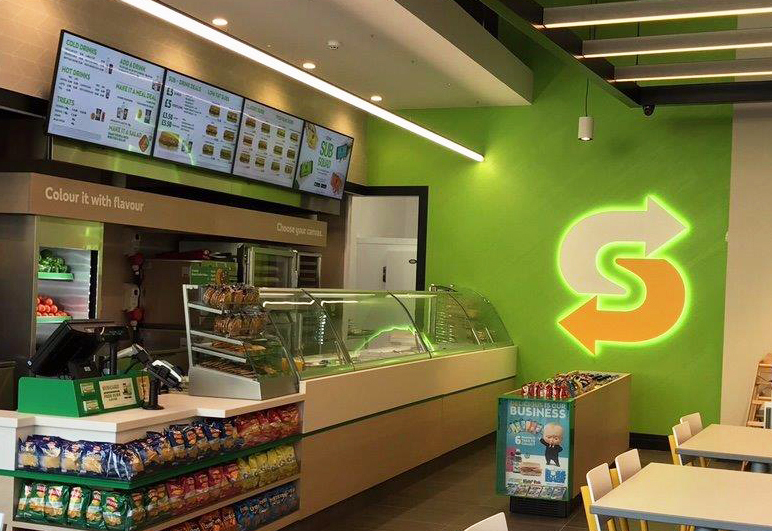 Subway has selected Hobart as its exclusive approved dishwasher supplier for the UK and Europe, with the modified FX-15A machine available to franchisees through its consolidator partners. Given that Hobart machines are used in many quick-service operations, the brand has a clear understanding of the sector’s warewashing needs. The feedback it receives from clients helps shape future product development work. Riley elaborates: “We do an awful lot of what we call ‘customer-back innovation’, which involves asking the customers what they want from the machines when looking at new developments. If you go back to when we started doing this customer-facing work, they all wanted easy-to-use equipment and were fed up with too many dials and something that looked like they were controlling a spaceship. We brought out the single-button machine and we have kept refining that to become even more simple. With the agreement in place and stock now sitting with the consolidators, IPC Europe’s next task is to raise awareness of the partnership to franchisees and promote the benefits that Hobart’s dishwashing technology can bring to a Subway kitchen operation. Bird accepts that there will be an element of “needing to change hearts and minds” as franchisees have been so accustomed to a different process. Trials suggest that busier stores could easily use the machine for up to 45 washes a day, which will bring major time savings. Rather than standing at the sink for prolonged periods, or washing up when there is a break in service, staff can spread the washes throughout the day and integrate it into their routine. Commercial dishwashers will be installed in all newly opened and remodelled Subway stores from now on. This way of working also solves the prohibitive issue of batch-washing, which most stores are inclined to do when washing up by hand. With a dishwasher, there is no need for wares to stack up. 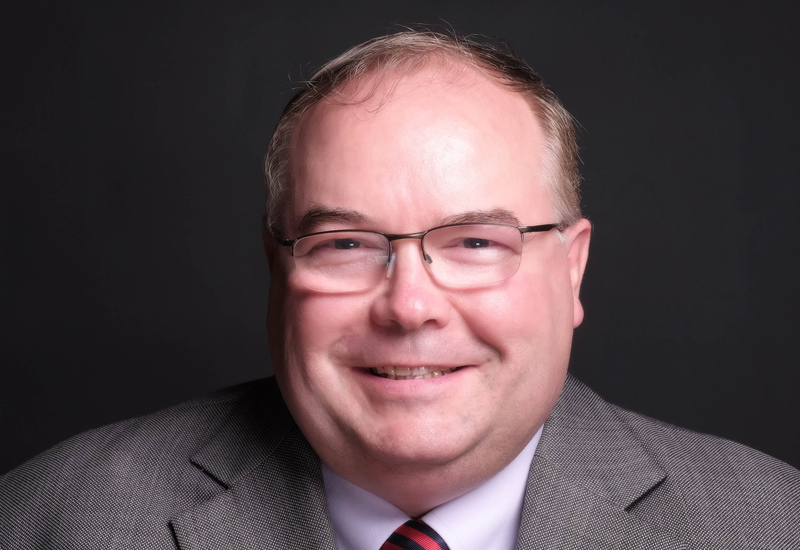 IPC Europe, along with the Hobart team, which includes national key accounts manager, Ian Barber, will work with franchisees to ensure they know how to drive maximum operational value from their machine. What they want to promote is a system that eradicates dead time by encouraging workers to start the wash and then carry on with other tasks, not simply stand there waiting for the cycle to finish. “We appreciate this might require a change of mindset in how franchisees operate back-of-house but both Subway and Hobart are helping the IPC Europe with that through training, guidance and videos,” says Bird. While the UK foodservice market has faced a number of economic and competitive challenges in the last two years, Subway remains in growth mode — and that is certainly the case for Europe as well. 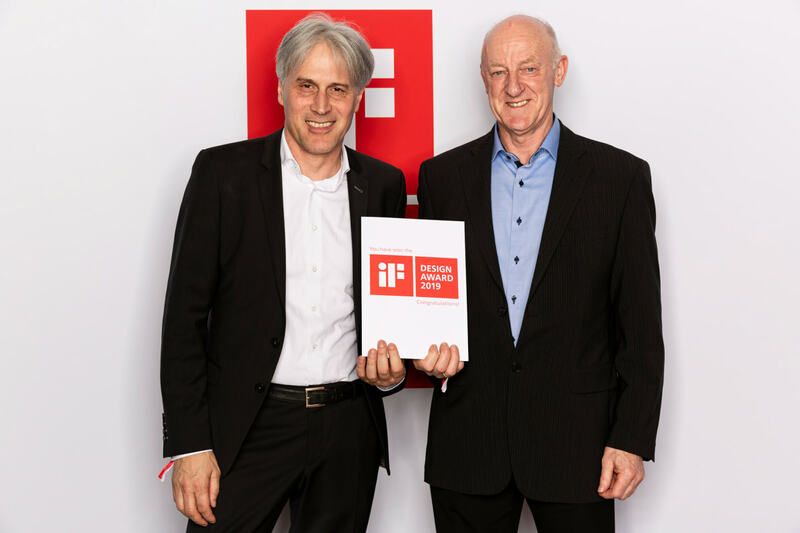 The European markets that IPC Europe looks after comprise some 5,400 stores as it stands, with the chain bidding to grow across Europe at a rate of 500 stores a year. The UK accounts for 2,400 units, of which 100 of those now feature the new Subway ‘Fresh Forward’ branding following a successful pilot in Manchester Piccadilly. The new layout boasts a flexible dining area, open ceilings to make the interiors more airy, revamped queue lines and counters and digital menu boards. 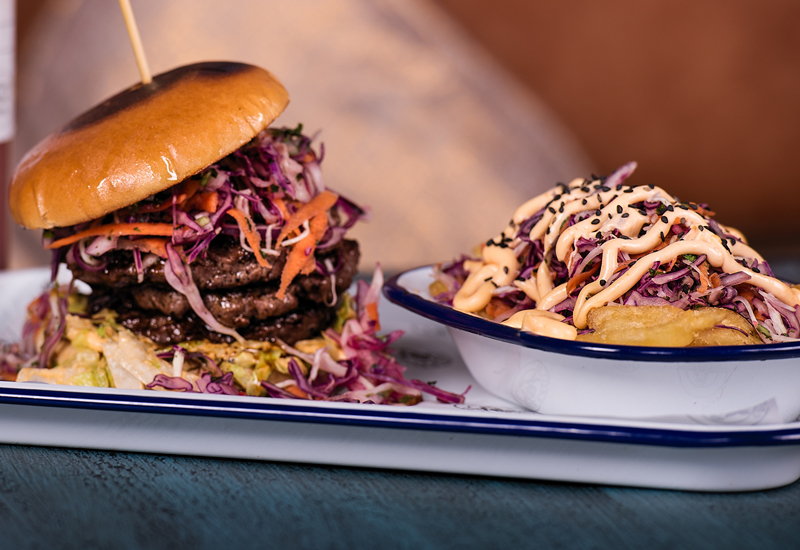 With future Fresh Forward openings designed with commercial dishwasher, the agreement with Hobart is set to unlock plenty of value for franchisees. Having seen the dishwasher programme through from RFI to appointment, what’s next for IPC Europe equipment team?